We’ll never get tired of French manicures! 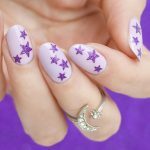 It’s a classic nail design that can be easily transformed into something new and unique. As long as you keep the ‘french tip’ you’re free to paint whatever you want in any colour you like. 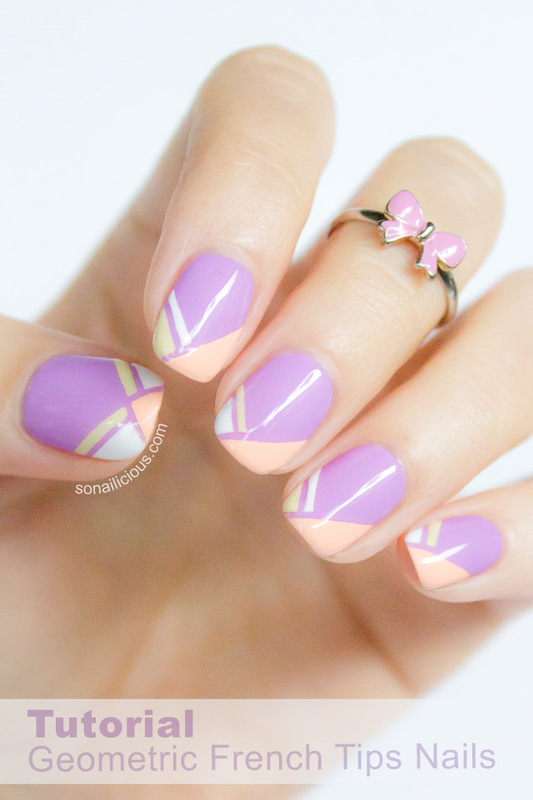 For instance, for today’s Geometric French Tip Nails we used lilac nail polish as a base and decorated the tip of the nail with a geometric pattern in pastel yellow and peach. But if you want to try different colours, go for it! 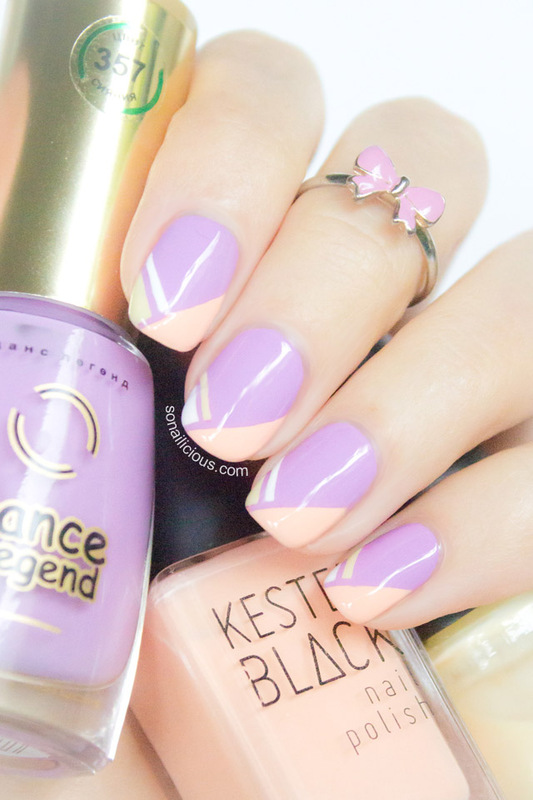 This nail design is quite versatile, it will look good in almost any colour combination. Another great bonus is it’s quite easy to do to. You just need to be accurate when dealing with the striping tape and allow enough time for the first layer to dry. Check out our tutorial below to learn how to do these French Tip Nails at home. 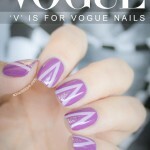 Apply 2 coats of opaque light lilac nail polish and wait until completely dry. Attach striping tape as pictured. Make sure the tape is attached to the nail properly to ensure the clean lines. Using detailing nail art brush, paint the small diagonal line with white nail polish and the small triangle above with yellow polish. Using the same detailing brush, paint the large triangle detail in peach colour. Carefully remove the striping tape with tweezers from all nails. Clean up around cuticles where required, apply 2 coats of a quick dry clear top coat. You’re done! Wearing: the Bow ring from the Stacking Trio. 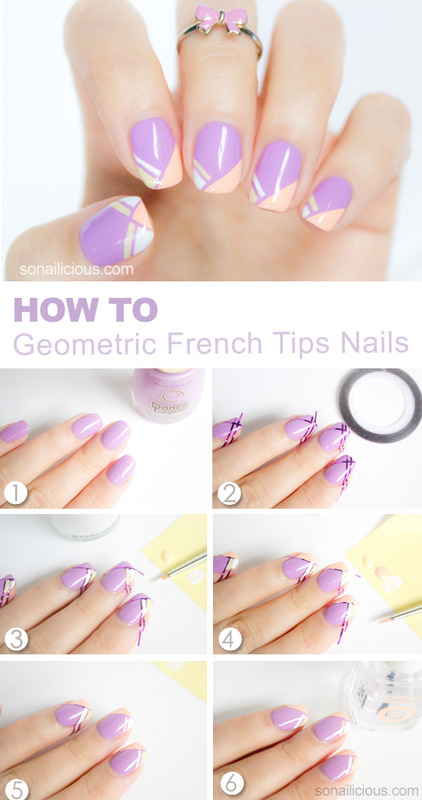 Hope you enjoyed this Geometric French Tip nail art tutorial. There are so many cool designs you can do based on this look! We look forward to seeing your version!